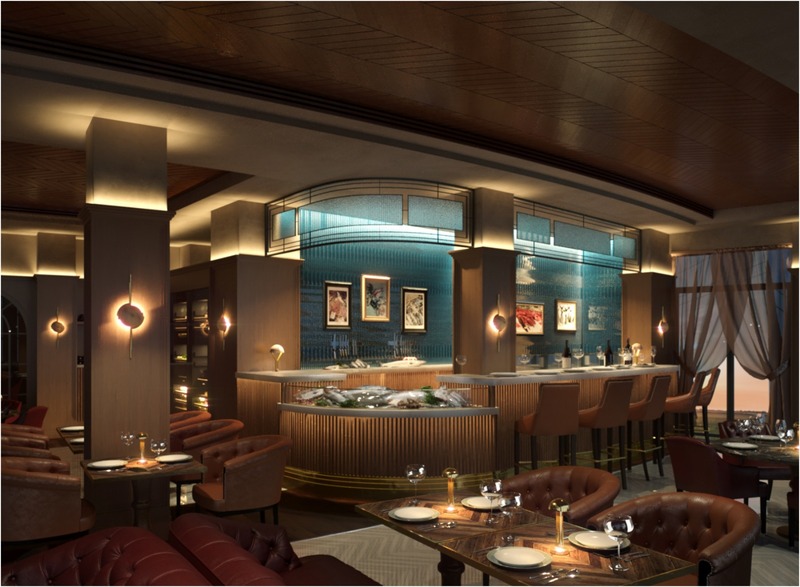 Pearl Social, set to open in Doha on 18th November, is the latest venture by international restaurateur Jason Atherton. Located within the Marsa Malaz Kempinski Hotel, the restaurant is named after the location – The Pearl. It is the fifteenth venture in Jason Atherton’s international restaurant portfolio. Chef Karl Emsen, previously sous chef at Michelin-starred City Social under Paul Walsh, will be executive chef, following his involvement in Atherton’s Cebu restaurant, Pig and Palm. Leading the front of house team will be Ricardo Carvalho who, having worked in some of the finest restaurants around the world including Amadeus in Portugal, has a wealth of international hospitality experience. The menu will showcase the contemporary and innovative cuisine Atherton is renowned for with a specific focus on seafood. Expect fish dishes such as Yellowfin tuna with lemon, radish and mouli as well as a selection of roasted and grilled dishes including Roasted fillet sea bass with Amalfi lemon potato and a mussel and clam sauce, and Florentine Rib eye steak with Provençal herb pesto, lemon, wild mushroom and artichokes. Curated by Laure Patry, The Social Company’s group sommelier, the sophisticated, global wine menu provides the perfect pairing for every dish. Designed by Rosendale Design, the interiors will possess a Mediterranean flair, with floor to ceiling windows showcasing the spectacular views. The contemporary art deco look will be accentuated with gold details to create a luxurious space. 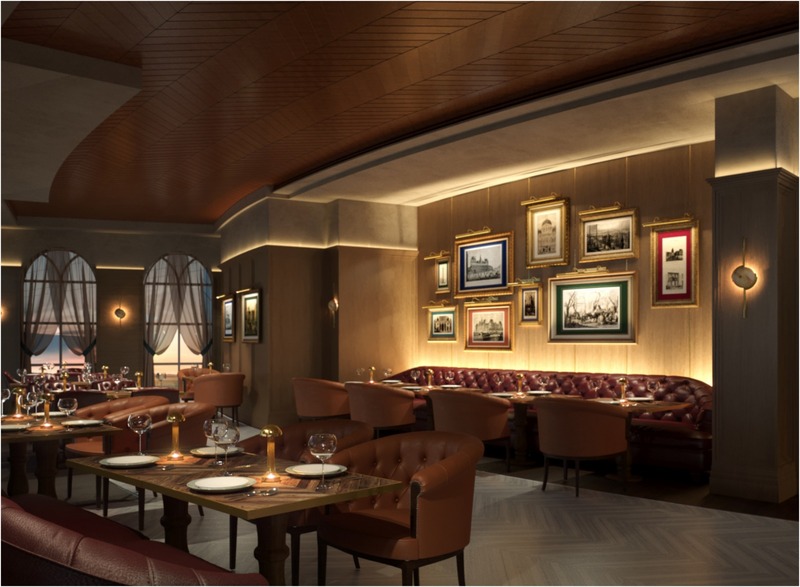 There will be bespoke leather seating throughout the 80 cover restaurant, with a series of 1960’s French Riviera inspired pictures adorning the central wall. The dining room will also feature a Marble top raw bar with stained timber cladding where guests can watch seafood dishes being prepared. The 50 cover outside terrace creates the perfect spot to watch the sun set with family and friends. 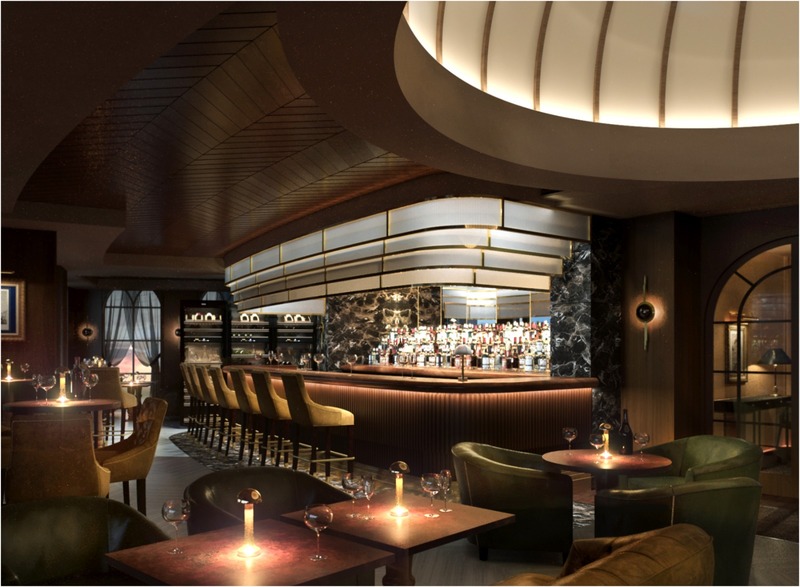 Located above Pearl Social will be The Divers Club, serving innovative cocktails from award winning group mixologist, Jay Doy. Here, guests can enjoy regular weekly DJ nights. The Pewter top bar is paired with custom leather upholstered bar stools and sits in front of a marble bar display.